Even though it is barely out of the door, everyone is talking about the impact of Penguin 4.0. Google’s latest algorithm update has brought plenty of changes, so every SEO agency out there is looking to understand these developments and get the most benefits from them. 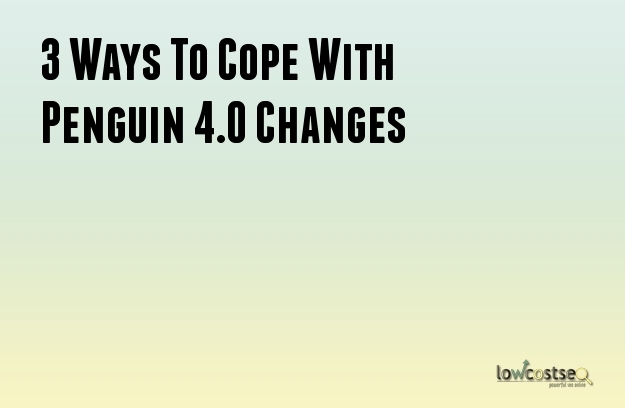 With Penguin 4.0, we have encountered some noticeable changes, with a shift to a granular algorithm: one that updates regularly and on the fly, rather than in large upgrades, as we’ve previously seen. So, how can you cope with each of these? Let’s take a look at each of these areas and discuss some of the possible solutions, moving forward, to benefit you and your online platform. Perhaps one of the biggest announcements that came from Google was the devaluing of spam. Specifically, Google will no longer impose penalties for spamming bad links. It’s automatic algorithm simply ignores it – it does not contribute to good or bad results. Similarly, many people are suggesting that the latest update focuses more on individual pages, so one page that is heavy threaded with SEO links will not necessarily bring down the entire website’s rankings. Of course, if spam itself is being ignored, this is further proof. However, there is a lot of debate right now about whether or not use the disavow file. This has previously been used to manually turn off links, ensuring you only have do-follow links that benefit your website. While the new update might make this redundant, it is still worth keeping this file up to date. This will protect you against future updates (especially if Google decides to reverse its decision) and still helps when it comes to manual audits – while Googlebots might not penalise your site, manual teams still have the ability to do so. Each update brings its own changes and, often, a new wave of penalties. With Penguin 4.0, penalties from previous updates are being removed. For many platforms, this might result in an increase in traffic or visibility but, likewise, it is important to remember that removing a penalty only does so much. In short, if you’ve been affected by Google in the past, now is a good time to keep track of daily rankings and traffic results. Removing this restriction removes the negative influence from your website, but that doesn’t mean it adds anything positive. As such, don’t be surprised to find a small increase. To get the most from your platform – now that it’s not being penalised – you should make the most of SEO strategies. Finally, it’s worth nothing that nothing is ever set in stone when it comes to search engines. Google is always looking to update things and, not only is Penguin 4.0 a fresh release, it’s also a shift into granular, constant updates. So, not only can we expect to see larger adjustments over the coming weeks, we all need to get into the pattern of regularly adapting to smaller changes. This means keeping a closer eye on visibility and traffic, looking for when it suddenly drops or rises. In the future, it will be the SEO efforts that are quick to adapt to this, rather than those that wait until the end of each month, that will fare much better.